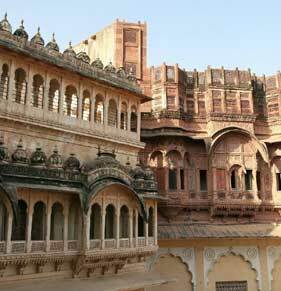 Rajasthan heritage palace tours that involves visiting of great Buildings like Jaisalmer fort, Amber fort in Jaipur, Neemrana fort, Rajputana palace etc. 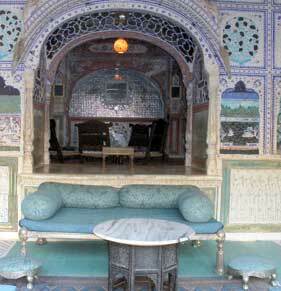 Arrive in Jaipur and later transfer to the hotel. Day free for rest. 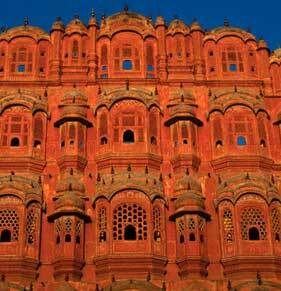 After breakfast, take on a full day city tour of the Pink City, in morning visit the Amber Fort- built in the early 18th century and a fascinating insight into the life-style of the Mughal ruling families. 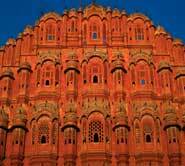 Afternoon tour of The Pink City - will include City Palace, Hawa Mahal "Palace of the Winds", and the open-air Jantar Mantar Observatory to see the vast astronomical instruments. 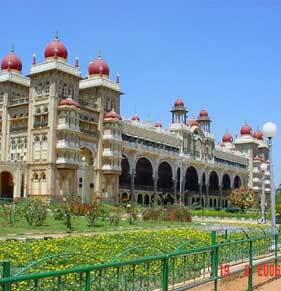 In the evening enjoy the beautiful bazaars. Drive to Mandawa and later check in at the hotel. 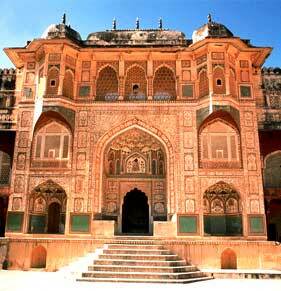 Later visit the Havelies in the Shekhawati Region. 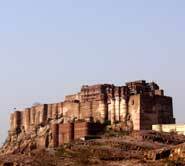 Next morning drive to the imposing walled city of Bikaner. Afternoon sight seeing of the city. After breakfast drive to Deshnok, to visit the Karni Mata Mandir. Later in the afternoon visit the National Camel Breeding Farm and view the spectacular desert sunset in the background. 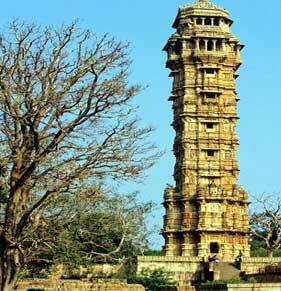 Today continue your drive to the desert town of Rajasthan-Jaisalmer. Evening time for leisure. 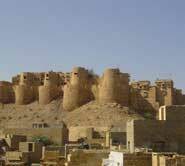 Take on a full day city tour of Jaisalmer visiting the spectacular Jaisalmer Fort. Later walk around the countless havelis spread across Jaisalmer, which are reputed as the city's real showpieces. Late evening visit the Sand Dunes to witness the spectacular sunset. 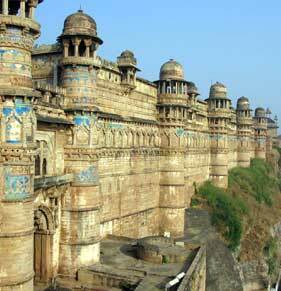 Next morning drive to the Blue City of Rajasthan- Jodhpur. 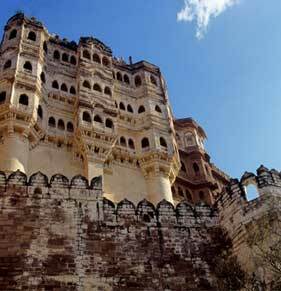 Afternoon visit the imposing Mehrangarh Fort and Jaswant Thada. 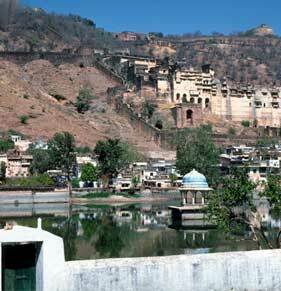 Drive to Kumbhalgarh and visit the famous Kumbalgarh fort. On the drive towards Udaipur enroute visit Ranakpur, for the famous Jain temples. Rest day for free. Full day sight seeing of The City of Lakes-Udaipur visiting City Palace, Lake Palace, Kumbalgarh Fort, Saheliyon ki Bari and many more. Overnight in hotel. Later depart towards onward destination.